12 days of travel, adventure and beauty in the Middle East! 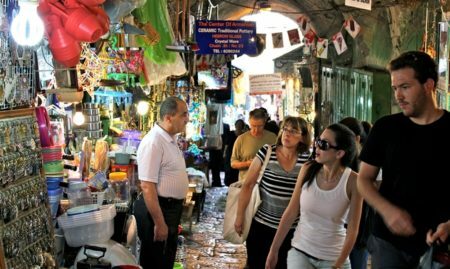 The Israel, West Bank & Jordan Full Experience Package by Abraham Tours offers a great opportunity to take full advantage of all of the region’s treasures and destinations. 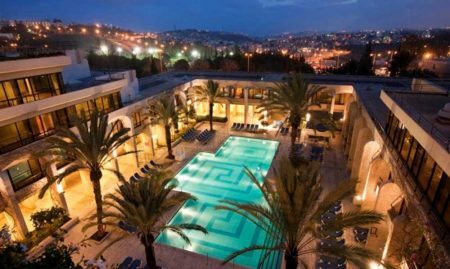 Explore beautiful Roman ruins at the Caesarea National Park, enjoy a delicious Arab-style lunch at a seaside village, and visit places such as Ramallah, Jericho, Bethlehem, and Hebron. 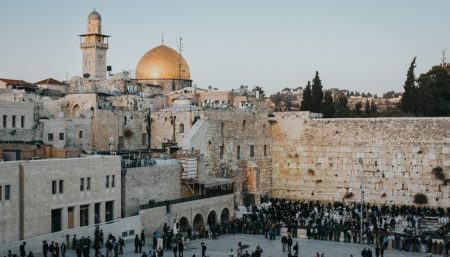 The tour will also include a full introduction with the rich history of the Old City of Jerusalem, the beautiful city of Jaffa, and of course, Tel Aviv. A once in a lifetime experience! Visit 2000-year-old towers, temples, King Herod’s aqueduct and more. Old City Tour: Western Wall, Dome of the Rock, Al Aqsa Mosque, and the Church of the Holy Sepulchre. Float in the Dead Sea and enjoy the therapeutic mud. * There’s an age limit on Dorm rooms: 18-45. Tips: tipping is a part of the culture and economy of Middle East tourism, similar to Europe and the US.